Democratic Alliance shadow minister of communications Marian Shinn. 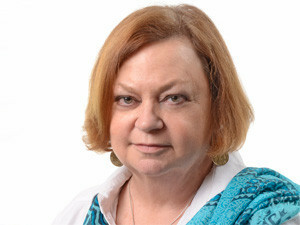 ITWeb asked Democratic Alliance shadow minister of communications Marian Shinn for her reaction to the Cabinet shuffle. 1. What is your general reaction to the split between telecoms and postal, and the "reconfiguration" of the DOC? Absolutely daft. The communications ministry should have ICASA, policy and strategy, communications infrastructure components. The SABC, GCIS, et al, should be in a Ministry of Communications - or rather in a department in the presidency. In one sense it is logical to move the media components away from the communications infrastructure components so as to separate the management of the means of communication from the government content services that use the infrastructure. That said - it makes no sense to place communication policy, strategy and regulation in the same department as government's media, marketing and publicity operations. This indicates to me a clear confusion in the ANC as to the different needs of the activities that fall into the amorphous world of 'communications'. The ANC clearly sees government's role in the communications sector about message control rather than economic enablement. Clearly now the SABC must lose its public broadcaster status and become a much pruned-down state broadcaster so we all know exactly what its purpose is and then sell off the commercial components. The re-birth of a Department of Telecommunications and Postal Services takes me back to the 1980s. And with Siyabonga Cwele in charge, indicates government's intention to control the Internet, its various platforms and electronic surveillance. There are many questions to be answered eg, where does the Broadband Council sit now? Does it report to comms which, it now seems, has nothing to do with communications infrastructure issues. This split was done in haste and without little reference to the Green Paper on ICT Policy and the work that's been done to converge the technologies. Postal services - if it is to remain a government entity - should be a public enterprise offering a range of banking, logistics, printing and support services to all government departments throughout the country. Its infrastructure is woefully managed and should be better exploited. 2. What is your take on the new ICT sector ministers and deputies? Faith Muthambi has sound ICT knowledge and will be a good minister. [Deputy communications minister] Stella Ndabeni-Abrahams has always been thin on anything substantial. Siyabonga Cwele has no knowledge about the potential of ICT to economic growth and its challenges. His knowledge comes from oversight of electronic surveillance and cyber security through the Ministry of State Security. I fear for our Internet freedoms. I have no knowledge of his deputy so have no view on her. 3. How do you think the new structure will work in terms of organisation and goal delivery (broadband, spectrum, NDP, digital migration, etc)? The split is illogical, and the disruption and turf wars it will cause will set back our attempts to claw our way up the international ICT rankings. It will probably escalate the digital migration deadline - out the window and far away. 4. What does this mean for SA's telecoms/ICT sector, which was already a R180 billion industry in 2012? Bad news because regulation and policy clarity will be stalled while the departments sort themselves out. But, as in the past, I am sure the private sector will use its ingenuity to the best advantage it can. It's thanks to the private sector that SA has progressed as much as it has in an inadequate policy and government support environment. I fear government's muddling about in this sector will only mire it down. 5. Would it not have made sense in your mind for an ICT ministry (converged) in light of the movements that we are seeing in business (Telkom, BCX, Vodacom, Neotel, MTN, Telkom Mobile, etc)? Our policy is to have less government involvement in the communications sector by regulating to support innovation, competition and consumer rights, and let the market forces determine who supplies the infrastructure, products and services to the consumer. It is such a dynamic sector that government tends to act as an inhibitor and not an enabler. The convergence we're seeing at the moment is healthy and, unless we put in place a dynamic, nimble and adequately resourced regulator, we'll see giants dominate the market and squeeze out innovation and entrepreneurship. 6. Will the latest move undermine any progress SA has seen under the leadership of Yunus Carrim, in your opinion? Or will it advance the sector? I'm outraged that Carrim was axed. He put in exceptional energy and intellectual agility into understanding the complexities and fractiousness of the sector - as well as the potential for corruption between government officials and the cronies - and acted with vigour to resolve the issues. He was hampered, firstly by ANC policy and the legacy he inherited from years of mismanagement, and, secondly, by the misguided local manufacturing programme for set-top boxes that has held back the nation's ability to meet the deadline for digital switchover and entrenched unrealistic expectations in the industry. He made some progress in stabilising the department, breaking the policy logjams, appointing the broadband and cyber security bodies, and instigating and chasing down disciplinary and criminal investigations into his staff. He had a long way to go, but this will need to be learned all over again by new incumbents. 7. How important is a track record and experience when it comes to the appointment of ministers of critical sectors like telecoms and DOC (ie, former state security's Siyabonga Cwele and Faith Muthambi)? Muthambi has tremendous ICT knowledge and a good analytical brain. She will not be bullied - but she will head a ministry that is a muddle of components. I wish her luck. Cwele's knowledge comes from Internet surveillance and cyber security so he's not totally clueless about the sector - but his emphasis could well be on the control of communications infrastructure rather than using it as a tool for economic growth.